PREMIER!! NAVIGATION!! BOSE PREMIUM SOUND!! LEATHER!! DRIVER CONFIDENCE II PACKAGE!! 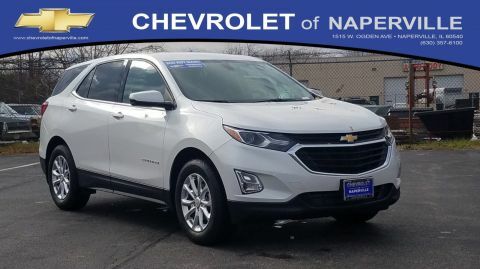 2019 CHEVROLET EQUINOX PREMIER, SILVER ICE METALLIC ON MEDIUM ASH GRAY HEATED/COOLED LEATHER SEATING, BLACK BOWTIE EMBLEM PACKAGE!! 1.5L TURBO DOHC 4-CYL ENGINE UNDER THE HOOD, 6-SPD AUTOMATIC TRANSMISSION, 32 HWY MPG!! LETS GO OVER ALL THE OPTIONS ON THIS ALPHA DOG OF THE EQUINOX WORLD!! COLOR TOUCH SCREEN WITH NAVIGATION AND MYLINK RADIO, BOSE PREMIUM 7-SPEAKER PREMIUM SOUND, 19 INCH ULTRA BRIGHT MACHINED RIMS, CONFIDENCE AND CONVENIENCE II PACKAGE INCLUDES: 8 WAY POWER DRIVER SEAT AND 2 WAY LUMBAR, HEATED/COOLED FRONT SEATING, HEATED REAR SEATING, HEATED STEERING WHEEL, LOW SPEEDS AUTO BRAKING, FORWARD COLLISION ALERT, LANE KEEP ASSIST WITH LANE DEPARTURE WARNING, FOLLOWING DISTANCE INDICATOR, SAFETY ALERT SEAT, SURROUND VISION, AND INTELLIBEAM HIGH BEAM HEADLAMPS…YOU WANT MORE…WE GOT MORE..4G LTE WI-FI HOTSPOT, 2 USB PORTS, BLUETOOTH FOR PHONE, UNIVERSAL HOME REMOTE, HANDS FREE POWER LIFTGATE, FRONT FOG LAMPS, STABILITRAK CONTROL SYSTEM WITH TRACTION CONTROL, BODY COLOR DOOR HANDLES WITH CHROME STRIP, POWER HEATED OUTSIDE MIRRORS WITH TURN SIGNAL INDICATORS, REMOTE VEHICLE STARTER, PUSH BUTTON START, PASSIVE ENTRY SYSTEM, DEEP TINTED REAR GLASS….LADIES AND GENTLEMEN THIS ONE IS LOADED AND LOOKING FOR A FAMILY TO CRUISE AROUND TOWN…YOU AVAILABLE?? NOW..HOLD ON EQUINOX SHOPPERS….WE HAVE MORE…YOU GET A FULL 36 MONTH OR 36,000 MILE BUMPER TO BUMPER COVERAGE GOOD FROM THE DAY YOU TAKE DELIVERY, NOW THAT IS WHAT I AM TALKING ABOUT…WORRY FREE DRIVING…ALL ABOARD!! 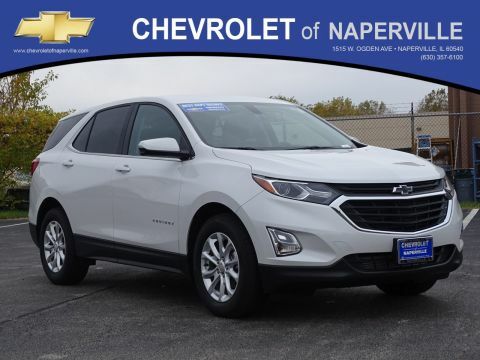 COME ON IN TODAY AND TAKE THIS LOADED UP EQUINOX FOR A SPIN AROUND OUR FAMOUS CHEVROLET OF NAPERVILLE TEST TRACK!! FIRST FAMILY HERE WINS…SEE YA SOON…FIND NEW ROADS HERE AT CHEVROLET OF NAPERVILLE Price includes all rebates in lieu of special financing their may be other rebates that you qualify for. 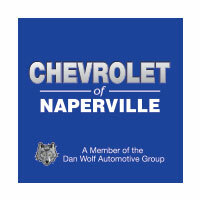 Please call $1,000 – Chevrolet Bonus Cash Program. Exp. 02/28/2019, $500 – General Motors Consumer Cash Program. Exp. 02/28/2019, $1,000 – GM Loyalty Towards Purchase Private Offer. Exp. 02/28/2019 SEE DEALER FOR DETAILS. PREMIER!! NAVIGATION!! BOSE PREMIUM SOUND!! LEATHER!! DRIVER CONFIDENCE II PACKAGE!! 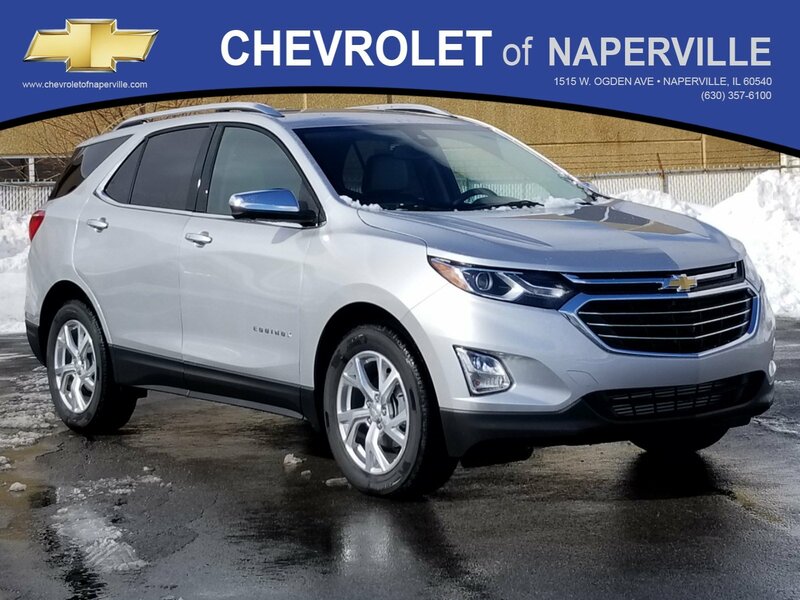 2019 CHEVROLET EQUINOX PREMIER, SILVER ICE METALLIC ON MEDIUM ASH GRAY HEATED/COOLED LEATHER SEATING, BLACK BOWTIE EMBLEM PACKAGE!! 1.5L TURBO DOHC 4-CYL ENGINE UNDER THE HOOD, 6-SPD AUTOMATIC TRANSMISSION, 32 HWY MPG!! LETS GO OVER ALL THE OPTIONS ON THIS ALPHA DOG OF THE EQUINOX WORLD!! COLOR TOUCH SCREEN WITH NAVIGATION AND MYLINK RADIO, BOSE PREMIUM 7-SPEAKER PREMIUM SOUND, 19 INCH ULTRA BRIGHT MACHINED RIMS, CONFIDENCE AND CONVENIENCE II PACKAGE INCLUDES: 8 WAY POWER DRIVER SEAT AND 2 WAY LUMBAR, HEATED/COOLED FRONT SEATING, HEATED REAR SEATING, HEATED STEERING WHEEL, LOW SPEEDS AUTO BRAKING, FORWARD COLLISION ALERT, LANE KEEP ASSIST WITH LANE DEPARTURE WARNING, FOLLOWING DISTANCE INDICATOR, SAFETY ALERT SEAT, SURROUND VISION, AND INTELLIBEAM HIGH BEAM HEADLAMPS...YOU WANT MORE...WE GOT MORE..4G LTE WI-FI HOTSPOT, 2 USB PORTS, BLUETOOTH FOR PHONE, UNIVERSAL HOME REMOTE, HANDS FREE POWER LIFTGATE, FRONT FOG LAMPS, STABILITRAK CONTROL SYSTEM WITH TRACTION CONTROL, BODY COLOR DOOR HANDLES WITH CHROME STRIP, POWER HEATED OUTSIDE MIRRORS WITH TURN SIGNAL INDICATORS, REMOTE VEHICLE STARTER, PUSH BUTTON START, PASSIVE ENTRY SYSTEM, DEEP TINTED REAR GLASS....LADIES AND GENTLEMEN THIS ONE IS LOADED AND LOOKING FOR A FAMILY TO CRUISE AROUND TOWN...YOU AVAILABLE?? NOW..HOLD ON EQUINOX SHOPPERS....WE HAVE MORE...YOU GET A FULL 36 MONTH OR 36,000 MILE BUMPER TO BUMPER COVERAGE GOOD FROM THE DAY YOU TAKE DELIVERY, NOW THAT IS WHAT I AM TALKING ABOUT...WORRY FREE DRIVING...ALL ABOARD!! 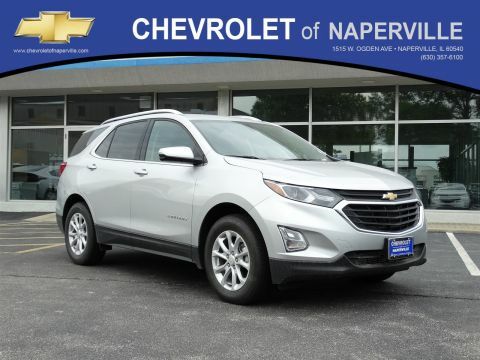 COME ON IN TODAY AND TAKE THIS LOADED UP EQUINOX FOR A SPIN AROUND OUR FAMOUS CHEVROLET OF NAPERVILLE TEST TRACK!! FIRST FAMILY HERE WINS...SEE YA SOON...FIND NEW ROADS HERE AT CHEVROLET OF NAPERVILLE Price includes all rebates in lieu of special financing their may be other rebates that you qualify for. Please call $1,000 - Chevrolet Bonus Cash Program. Exp. 02/28/2019, $500 - General Motors Consumer Cash Program. Exp. 02/28/2019, $1,000 - GM Loyalty Towards Purchase Private Offer. Exp. 02/28/2019 SEE DEALER FOR DETAILS.